Lately I’ve been reading from Philosophies of Art & Beauty: Selected Readings in Aesthetics from Plato to Heidegger, edited by Albert Hofstadter and Richard Kuhns, and read a passage that sure sounded a lot like a premise of user experience work. This is from Plato’s The Republic. 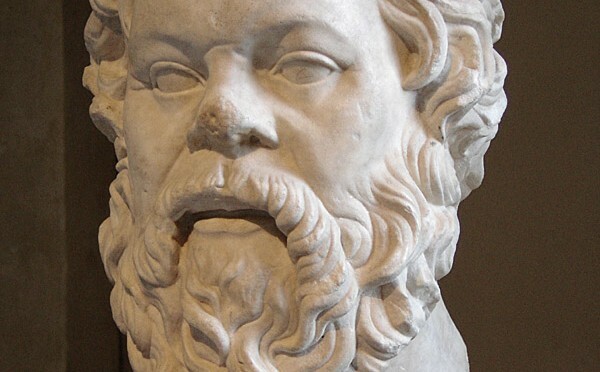 Socrates is dialoguing with Glaucon about art. But does the painter know the right form of the bit and reins? Nay, hardly even the workers in brass and leather who make them; only the horseman who knows how to use them—he knows their right form. That there are three arts which are concerned with all things: one which uses, another which makes, and a third which imitates them? The instrument is the same, but about the excellence or badness of it the maker will only attain to a correct belief; and this he will gain from him who knows, by talking to him and being compelled to hear what he has to say, whereas the user will have knowledge? Sounds like UX, doesn’t it? Maybe something from Don Norman about system image and mental models? Next Next post: Assange, Snowden, and Stallman as, um, heros?